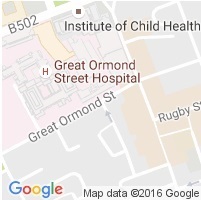 Great Ormond Street Hospital (GOSH) Laboratory Medicine plays a key role in the diagnosis and treatment of childhood illness. The samples received in the laboratory are referred by the medical professionals who directly care for patients both within GOSH and other medical centres across the UK and abroad. We are dedicated to ensuring that the information we provide to our medical colleagues enables the best and most timely treatment of all our patients.